Hillsboro is the fifth-largest city in the State of Oregon and is the county seat of Washington County. Lying in the Tualatin Valley on the west side of the Portland metropolitan area, the city hosts many high-technology companies, such as Intel, that comprise what has become known as the Silicon Forest. At the 2010 Census, the city's population was 91,611. For thousands of years before the arrival of European-American settlers, the Atfalati tribe of the Kalapuya lived in the Tualatin Valley near the later site of Hillsboro. The climate, moderated by the Pacific Ocean, helped make the region suitable for fishing, hunting, food gathering, and agriculture. Settlers founded a community here in 1842, later named after David Hill, an Oregon politician. Transportation by riverboat on the Tualatin River was part of Hillsboro's settler economy. A railroad reached the area in the early 1870s and an interurban electric railway about four decades later. These railways, as well as highways, aided the slow growth of the city to about 2,000 people by 1910 and about 5,000 by 1950, before the arrival of high-tech companies in the 1980s. Hillsboro has a council–manager government consisting of a city manager and a city council headed by a mayor. In addition to high-tech industry, sectors important to Hillsboro's economy are health care, retail sales, and agriculture, including grapes and wineries. The city operates more than twenty parks and the mixed-use Hillsboro Stadium, and ten sites in the city are listed on the National Register of Historic Places (NRHP). Modes of transportation include private vehicles, public buses and light rail, and aircraft using the Hillsboro Airport. The city is home to Pacific University's Health Professions Campus. Notable residents include two Oregon governors. The city is located in the Tualatin Valley, and the Tualatin River forms part of the southern city limits. The city's terrain is fairly level, consistent with an agricultural past and the farms still in operation. Hillsboro is about 17 miles west of Portland and immediately west of Beaverton. In addition to the Tualatin River, streams include Dairy Creek, McKay Creek, Rock Creek, Dawson Creek, and Turner Creek. Neighboring communities in addition to Beaverton are Aloha, Cornelius, North Plains, Reedville, Scholls, and West Union. Hillsboro's street system differs from many others in the county. Most cities in Washington County use a numbering system and cardinal direction orientation based on a grid that begins at the Willamette River in downtown Portland, which was originally part of Washington County. For example, the street names in Beaverton generally include Southwest (SW) prefixes because Beaverton lies in the southwest quadrant of the Portland grid. 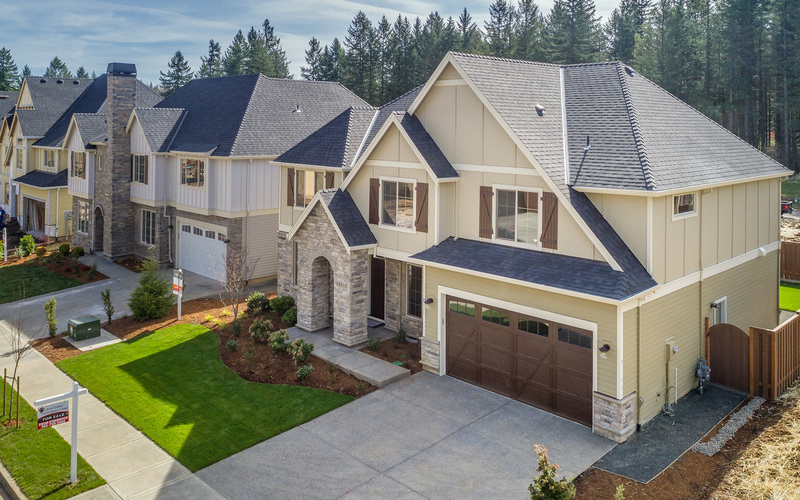 In Hillsboro, some county road names and addresses conform to the Portland grid instead of Hillsboro's internal cardinal direction grid, and the city has been working to make addresses and streets within Hillsboro conform to the internal grid. Within the city are three commercial movie theaters with a total of 30 screens. This includes the Venetian Theatre that re-opened at the site of the old Town Theater in 2008. The Oregon Chorale (a 60-person symphonic choir), a men's barbershop chorus, the Hillsboro Symphony Orchestra, and the Hillsboro Artists' Regional Theatre are also located in Hillsboro. The orchestra was founded in 2001 under the direction of Stefan Minde. In 2004, the city opened the Glenn & Viola Walters Cultural Arts Center in a remodeled church in downtown. The center provides space for galleries and performances, as well as classrooms for art instruction. The Rice Northwest Museum of Rocks and Minerals is located on the northern edge of the city. The Washington County Museum was located in downtown Hillsboro from 2012 to 2017, and later moved back to its previous location, at the Rock Creek campus of Portland Community College, just northeast of Hillsboro. Hillsboro operates two library branches. Opened in 2007 after a smaller location was closed, the 38,000-square-foot main branch is located in the north-central section of the city. The older, smaller second branch is in Shute Park in the southwest area of the city. The Hillsboro libraries are part of Washington County Cooperative Library Services, which allows residents to use other libraries in the county and includes interlibrary loans. AM radio station KUIK and the Hillsboro Tribune (launched in 2012) are based in Hillsboro. Historically, the city's longtime newspaper of record was the weekly Hillsboro Argus newspaper (published twice-weekly from 1953–2015). It was published in Hillsboro for more than 120 years until its discontinuation in 2017. KUIK is a 5,000-watt station broadcasting at the 1360 frequency. The Tribune started in September 2012 and now publishes weekly. 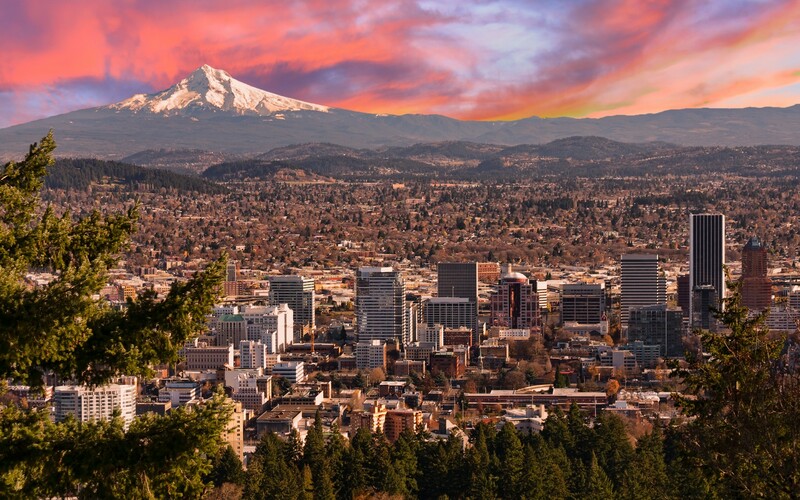 The city is also served by Portland-area media outlets including The Oregonian, Willamette Week, and all broadcast stations. Hillsboro's Department of Parks and Recreation operates more than 20 facilities, including Hillsboro Stadium. There are 23 parks, two sports complexes, the Walters Cultural Arts Center, the Shute Park Aquatic & Recreation Center, and three other mixed-use facilities. The city also owns the Jackson Bottom Wetlands Preserve along the Tualatin River on the south side of the community. South of city is Bald Peak State Scenic Viewpoint, which is day-use only, and is the closest state park to Hillsboro. L.L. "Stub" Stewart Memorial State Park is the closest full-service state park. Local golf courses include The Reserve Vineyards and Golf Club (36 holes) that was completed in 1997, Meriwether National Golf Course (27 holes) established in 1961, and the 9-hole McKay Creek Golf Course that was built in 1995. Other courses in the area include Killarney West Golf Club (9 holes), Rock Creek Country Club (18 holes), Forest Hills Country Club (18 holes), and Pumpkin Ridge Golf Club (36 holes). Hillsboro's annual Fourth of July Parade is the second-largest Independence Day parade in Oregon. The Oregon International Air Show, Oregon's largest air show, is held each year during the summer at the Hillsboro Airport. Each summer the city offers a free concert series at Shute Park (Showtime at Shute), while the Washington County Fair is held annually at the county fairgrounds adjacent to the airport. Hillsboro Farmers' Markets operates weekend farmers' markets on Saturdays downtown and on Sundays at Orenco Station, from May to October. The Saturday market began in 1982 and sells arts and crafts, food, produce, and plants. A different organization, Hillsboro Tuesday Marketplace, operates a downtown farmers' market on Tuesdays from mid-June through September 1. Farmers' markets also operate on Wednesday afternoons from June through August at Kaiser Permanente and on Thursday afternoons at Tuality Hospital from June through August. The city has one professional sports team, the Hillsboro Hops of the Northwest League, a Minor League Baseball club affiliated with the Arizona Diamondbacks. The baseball team relocated from Yakima, Washington, in 2012 and began play as the Hops on June 14, 2013, with its inaugural home game at the new Ron Tonkin Field on June 17. Public schools in Hillsboro are operated by the Hillsboro School District (1J). The district is a unified school district with twenty-three elementary schools, four middle schools, and four high schools. The district also operates the Miller Education Center, an alternative school, the Hare Field athletic complex, and City View Charter School. The school district covers Hillsboro, Scholls, Reedville, North Plains, West Union, and other surrounding communities. Total enrollment as of the 2015–16 school year was 20,501 students, making it the fourth largest district in the state (behind Portland, Salem-Keizer, and Beaverton). The four traditional public high schools are, in order of creation: Post-secondary educational opportunities include the west campus of Oregon Health & Science University (OHSU) while Pacific University operates a satellite Health Professions Campus in downtown adjacent to Tuality Community Hospital. The OHSU site was formerly that of the Oregon Graduate Institute (later OGI School of Science and Engineering) and the Oregon National Primate Research Center portions of OHSU. Other educational opportunities are available at the Work Force Training Center (Portland Community College) and a branch of the University of Phoenix. 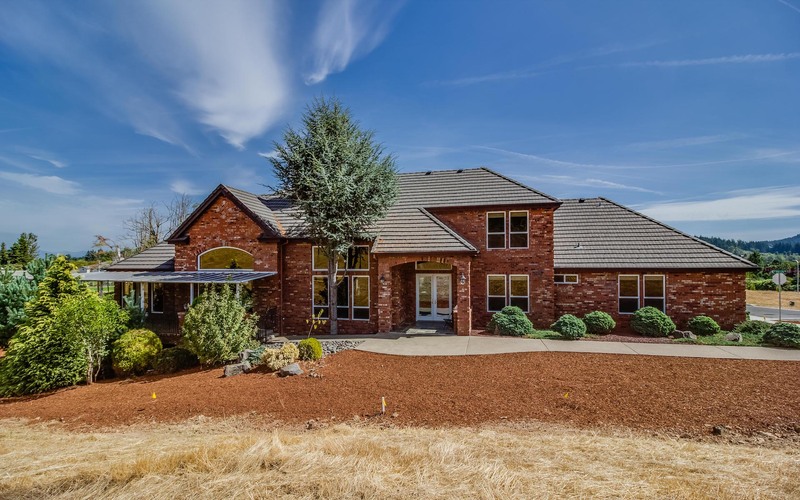 Hillsboro is home to private primary and secondary schools including Faith Bible High School, St. Matthew Catholic School, Tualatin Valley Academy, and Renaissance Alternative School, among others.